The car that started it all, our 2011 Mini Cooper Hardtop S is dressed up in funky Horizon Blue Metallic. Fueled by a Turbo Charged 1.6 Liter 4 Cylinder that offers 181hp while paired with a fun-to-drive 6 Speed Manual transmission. This stellar Front Wheel Drive machine provides near 37mpg, impressive acceleration that gets your blood pumping, and entertaining driving dynamics that can only be described as brilliant! With just one look at the fantastic styling of this Mini Cooper S, you know you can let your free-spirit fly and have a great time. Slip inside the surprisingly spacious interior and experience the premium materials that set Mini apart from the bland competition. This is a well-built car with a wealth of options and amenities that make it easily customizable to suit your personality. Enjoy full power accessories, keyless entry, a height-adjustable driver seat with leatherette seating, a panoramic sunroof, and crank up the sublime sound system with HD and available satellite radio as you cruise down the road in style. Among the best in the industry at retaining its value over the long haul, our Mini Cooper will impress you with its can-do demeanor. It has been carefully crafted with the finest materials and advanced safety features to keep you out of harm's way. Now is the time to join the charismatic club of Mini Owners and enjoy the status of this cultural icon. Print this page and call us Now... We Know You Will Enjoy Your Test Drive Towards Ownership! 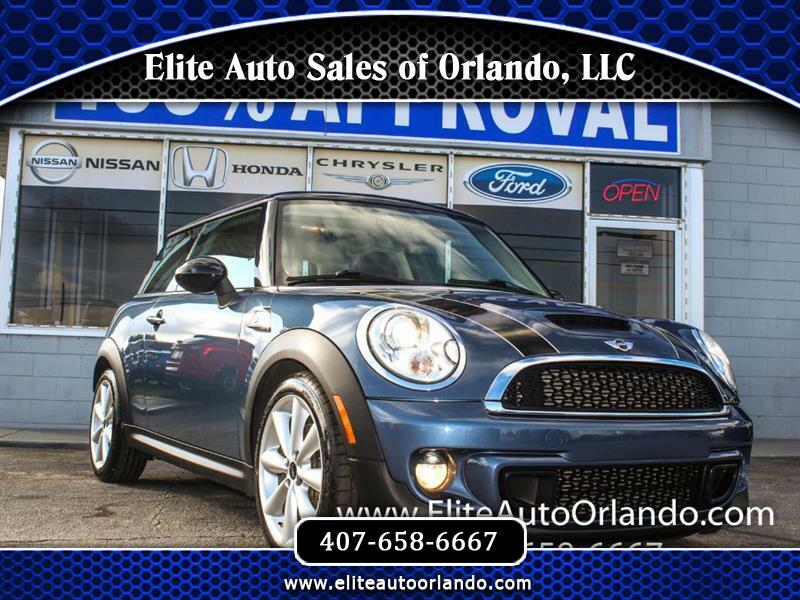 Elite Auto Sales of Orlando will strive to provide complete satisfaction for all customers. Our friendly staff presents total openness and caring solutions to make your transition into your new vehicle as smooth as possible. We are a Florida licensed automobile dealer and have an on-site mechanic shop where all vehicles are inspected and serviced. Call us now at (407)658-6667 or fax us at (407) 275-6676. We offer 100% loan approval and guarantee satisfaction from our friendly staff.